I am so excited to have been tagged for this award and would like to say a big thank you to Lia at Book Land for thinking of me. Please check out her blog, there is so much to see. Book Land is very pretty and there are some lovely little graphics. I love going on there as I find her blog so inspiring. 1. I lived in Israel for 2 years as a child while my dad worked with the United Nations in Lebanon. 2. I re-visited my youth last year and bought a Sylvanian mansion and rabbit family to live in it, completely on impulse and slightly insane. 3. I love pugs. I don’t have one but maybe some day in the future. I literally melt at the sight of one . I even have a Pinterest Board in their honour. How could anyone not like this face? OMG that puppy is just too cute 🙂 Congrats on the award nom! My mom has pugs, they are the cutest little dogs ever. THE WALKING DEAD! I love that series with a passion and I honestly refuse to find fault in it (though I know there are many…) I can’t wait for the new season to start. ;_; It’s been such a hole in my life! Have you watched the new spin-off series yet? I’ve yet to, but half of my friends say it’s good, the other half say it’s boring! Yeah! It’s called Fear the Walking Dead. 🙂 Shows the slow progression of the zombie outbreak! Ah, I hadn’t even heard of it, but I’ll check it out, bearing your warning in mind! I haven’t seen them but I’ve heard about them! I’ve avoided them because I thought they were horror movies – didn’t know they were about zombies!! Now I must give them a go. c: Thanks, Nicola!! Thanks for dropping by for a chat !!! I really appreciate that you thought of me when nominating. I LOVE PUGS TOO!! Honestly the cutest dog ever. I aspire to have one, one day too! Definitely can’t beat pyjamas. As soon as Iv had my dinner in the evening I get straight into mine. There is nothing more comfortable!!! Ah thank you very much Nicola! Lovely to read more about you. Ahhh I love Sylvanian Families so much…i have a box in the loft full of them and just wondering when would be the best time to introduce my son to the various families! I read your (pug) comment when I was out and about and started giggling to myself while looking at clothes in Mothercare. Lol 🙂 I got some funny looks !!! Let me know if you do get round to doing the creative blogger award. I love getting to know people a little bit more through these awards. They are so much fun! Your photo of the pug puppy reminded me of a friend’s book that I reviewed some time ago. She has three pugs. These are three hilarious short stories. Rather than publish my own review, I allowed my eldest dog, Ronan, to post his review on my Goodreads page. I have just re-posted it on my WordPress blog. Take a look. Adorable pug photo. The Creative Blogger Award image is awesome. Thank you. 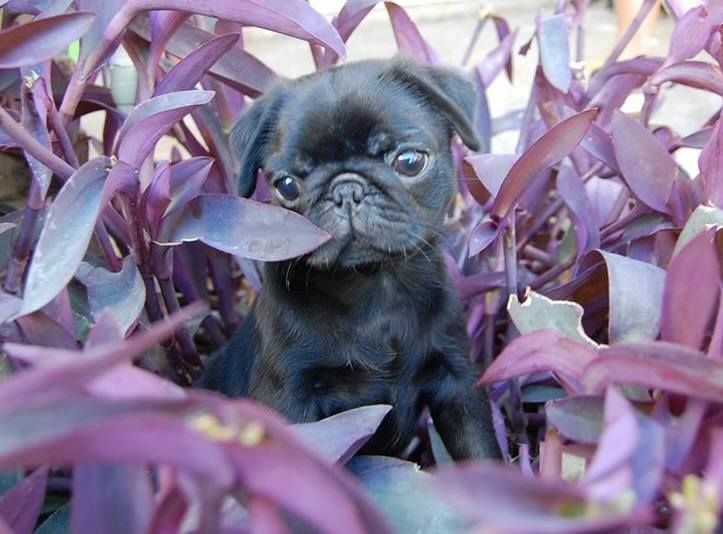 I love pugs so much. They have the most adorable, squishy little faces. I can’t take the credit for the creative blogger image unfortunately !! !